On Thursday, May 3rd, Holyoke FBLA had their awards night. During the ceremony, Mrs. Lori Nelson, the sponsor of FBLA, gave out awards to all who participated in FBLA this year. There were various awards, including district, state, participation, and national qualification awards. Students also received FBLA patches to put on their letterman jackets. At the awards ceremony, the new officer team was also sworn in. The new officer team includes Kaylee Camblin (President), Josie Herman (Vice President), Jackie Valenzuela (Secretary), Savannah Burris (Treasurer), Emily Jelden (Information Officer), Lali Marquez (Fundraising Coordinator), and Kylie Purkeypile (Student Council Representative). 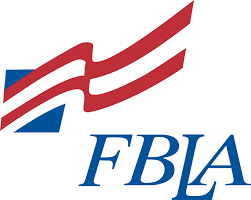 FBLA is an amazing organization, and everyone should give it a try next year!